Back in 1998 Planet Poker revolutionized the world of poker, making real-money poker games available at the click of a mouse, day and night, from California to London to Tokyo. Since that fateful day the world of online poker has been on a bit of a rollercoaster ride to say the least, with completely unregulated markets turning into regulated and grey areas, as well as several locales that have outright banned online poker. One of the most tumultuous regions has been the US, which also happens to be the largest poker market in the world. The US has gone from an unregulated free-for-all, to a defacto ban in late 2006 when UIGEA legislation was passed, eventually leading to what amounts to a full ban in the aftermath of Black Friday –some rooms are still operating in the US but for all intents and purposes online poker has been banned in the US. But now we are entering another new era in US online poker with the real-money launch of the first legal online poker room in the United States, Ultimate Poker. While the poker community has known this day would come, after the many carrots we chased after Black Friday poker players are basically now of a “I’ll see it when I believe it” mindset. So Tuesday’s launch of Ultimate Poker was the culmination of the process, much like when your team makes the Championship game, it doesn’t really sink in until game-day, and even more so when the game begins. So what should we expect from Ultimate Poker and online poker in Nevada in general? It’s hard to say at this point. Nevada has an extremely small player-pool to work with (the state has under 3 million residents) and many of the licensed operators will be developing software from the ground up, as Ultimate Poker did. My own suspicions are that the tables will be populated with a lot of low-limit grinders to begin with, along with an initial rush of new players, but as time wears on I foresee traffic numbers dropping and most of the action taking place at the low limit tables until Nevada partners with other states, or some type of federal bill is passed that would expand the player pool. 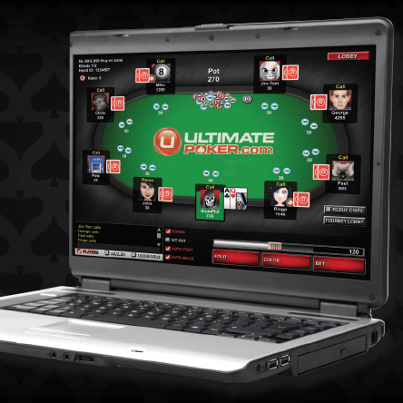 So far the early reviews of Ultimate Poker have been mixed, with complaints ranging from trouble verifying accounts, to outdated software, to limits being capped at $5/$10 for No Limit games and $10/$20 for Limit games. We’ll try to update you with some numbers in a few days when the true data reports come in (early accounts had about 100 real-money players online last night with about 8-10 tables running), as well as giving you an overview on what types of games are running at the site.